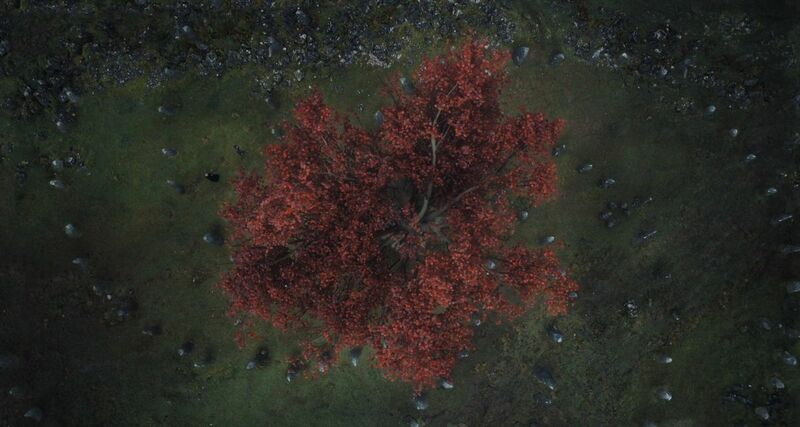 In the first episode of season 8, we see the most haunting swirl yet: a collection of limbs … and Ned Umber at the center. 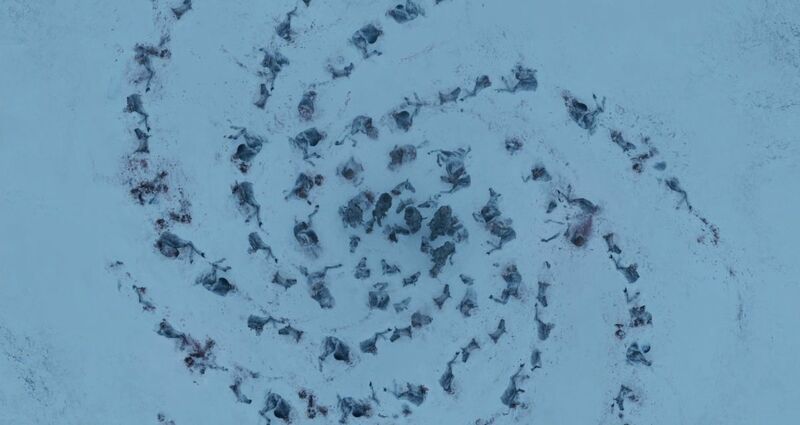 Tormund, Beric, and Edd discover the swirl, and Beric quickly gives us a glimpse into what the spirals might be. 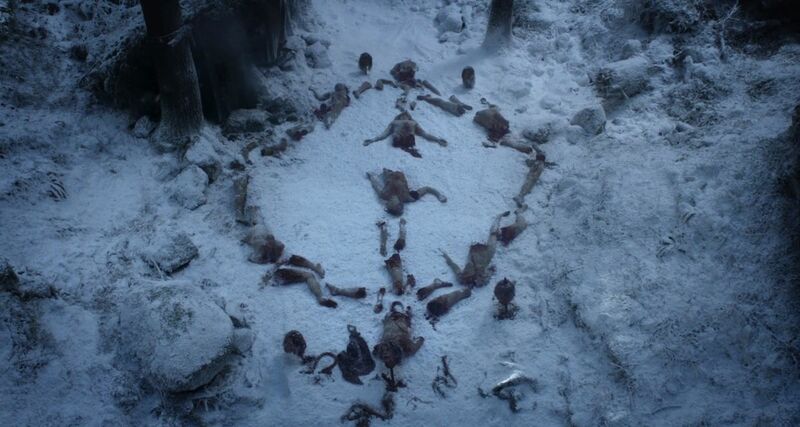 He explains that they’re a message from the Night King. But, before we have a chance to learn any more, Ned’s small corpse comes back to life and interrupts any further insights. 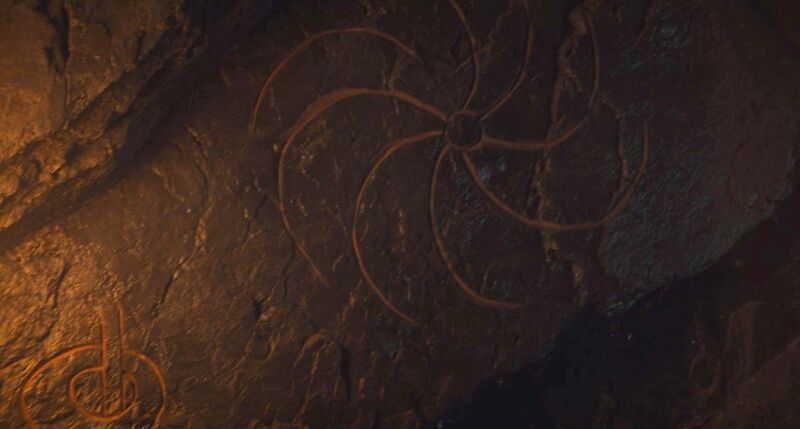 The symbols also appear deep in the dragonglass caves of Dragonstone, in season 7, episode 4, “The Spoils of War.” According to Jon, the Children of the Forest carved these markings in memory of the battle they fought alongside the first men to defeat the White Walkers … the first time.